Trim command (TRIM) helps keep your solid-state drive (SSD) at its full speed. If you find your SSD slowed down after a while of using, TRIM may help you make SSD always fast. Because low-level operation of SSDs differs significantly from hard drives, the typical way in which operating systems handle operations like deletes and formats resulted in unanticipated progressive performance degradation of write operations on SSDs. Trimming enables the SSD to handle garbage collection overhead, which would otherwise significantly slow down future write operations to the involved blocks, in advance. UPDATE: Ubuntu 14.04 Trusty will have TRIM enabled by default. If you got 0 it’s a SSD. If the output was 1 it’s a HDD. Then you are all good to go. If there’s no output, your SSD doesn’t support TRIM. 4. If everything went OK it’s time to make a CRON job so fstrim run’s once a day. Copy and paste below lines and save it. That’s it. You now have TRIM enabled. If I were you, I woudn’t do the trim command once a day because it spents write cycles unnecessarily. 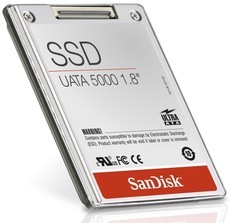 For a normal use, once a week is quite enough, because the SSD takes long time to decrease its performance because of the lack of memory pages. The other way is putting the argument “discard” in the SSD line at /etc/fstab and leave it to the SSD native controller. Thanks again. I saw the pages of stackover flow about manually trim SSD in Linux and the script in cron.weekly of Ubuntu 14.04 beta2. Unfortunately, although Ubuntu 14.04 uses fstrim automatically, fstrim has lost data bug in high load I/O status except Intel and Samsung SSD. I have to add “discard” in fstab, manually…ADATA. Whats the code to make it every 2, or 3 days instead of one?